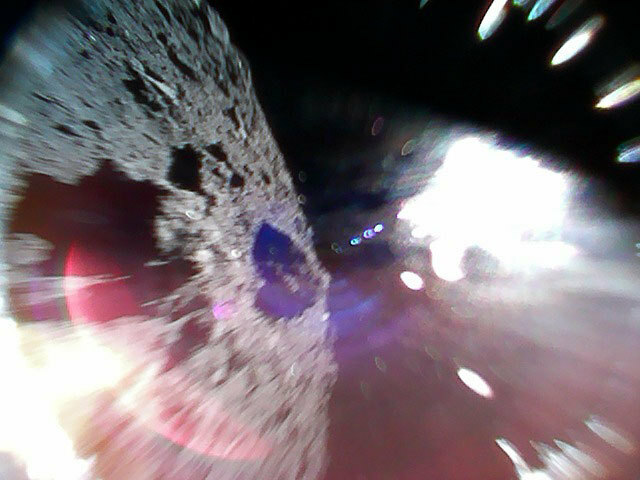 As of May 2018, according to the Asterank website, operated by Planetary Resources, the current value of Ryugu for mining purposes is speculated to be US$82.76 billion, and the chemical composition of the asteroid is claimed to be of nickel, iron, cobalt, water, nitrogen, hydrogen and ammonia. Try to imagine getting planning permission (from whom?) to alter the orbit of an asteroid such that, in a few years time, it gently comes up on the Earth from behind and can then be nudged into a stable orbit for nearby resource extraction. Imagine the Chicken Little reaction from luddites everywhere. Might be better to extract the useful material out there in the distance, and shoot smallish chunks of it towards the Earth/Moon for capture. Makes a smaller Kaboom! if you miscalculate. I am no Luddite, but I would strenuously oppose the development and use of technology to move around space rocks! Now dreidel I shall play. 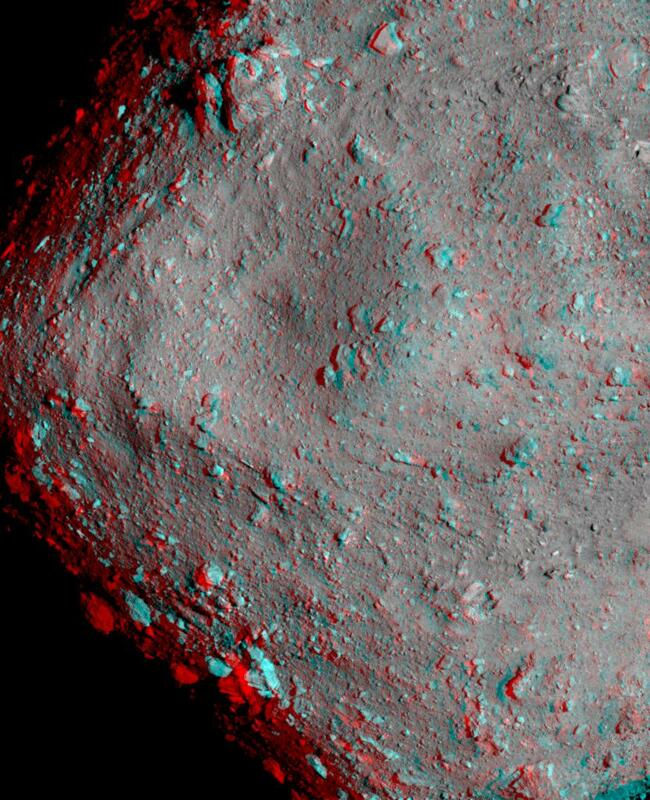 A red and blue stereoscopic image of Ryugu, prepared from the images taken by the Optical Navigation Camera - Telescopic (ONC-T) at an altitude of 6km. The images were taken on July 20, 2018. Image credit：JAXA, University of Aizu, University of Tokyo, Kochi University, Rikkyo University, Nagoya University, Chiba Institute of Technology, Meiji University and AIST. This image was captured by MINERVA-II1 Rover-1A on September 22 at around 2:44 UTC. The image was captured mid-hop after a successful landing.